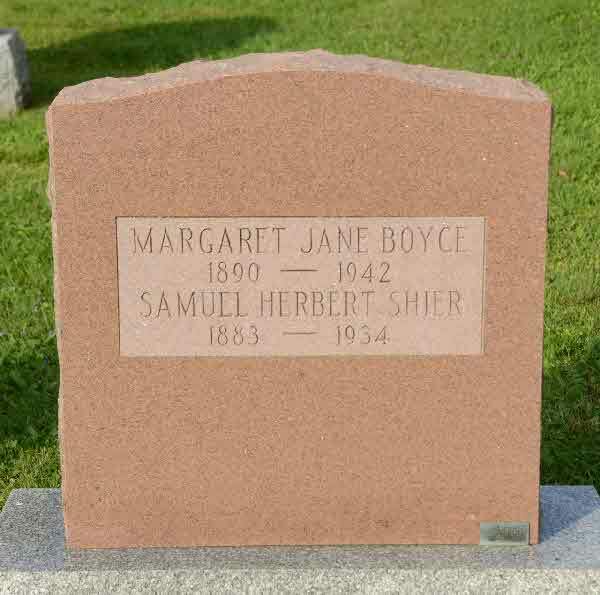 Burial* Annie Elizabeth Boyce was buried in Harley Twp. 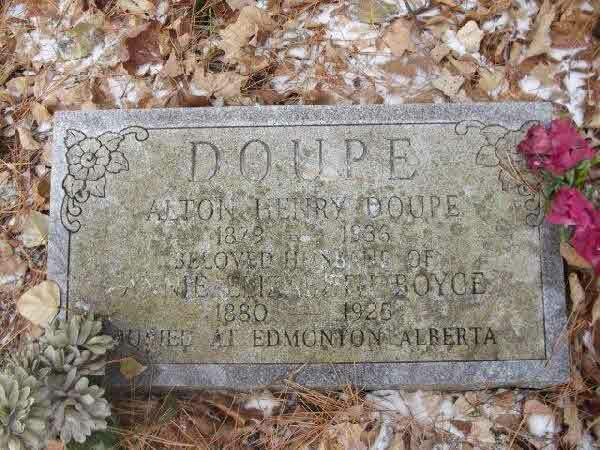 Cemetery, District of Timiskaming, Ontario, Canada; The stone suggests Annie Elizabeth Boyce-Doupe may have been buried in Edmonton, Alberta. 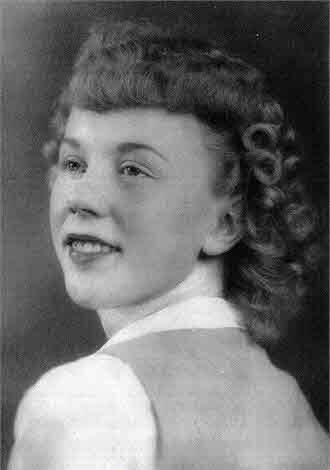 Death* Eva Boyce died on 9 December 2015 in Temiskaming Hospital, New Liskeard, District of Timiskaming, Ontario, Canada, at age 87; Our Mother, Eva, born on Number 5 in Harley Township on June 2, 1928, was the daughter of Mabel Marriott (Boyce, Harris and Lambe) and William Boyce and the first wife of her late husband Lawrence Loach (Date of Death: January 13, 1988 - Date of Marriage: January 12, 1945) and the second wife of her childhood friend, Stewart Doupe (Date of Marriage: February 14, 1996). 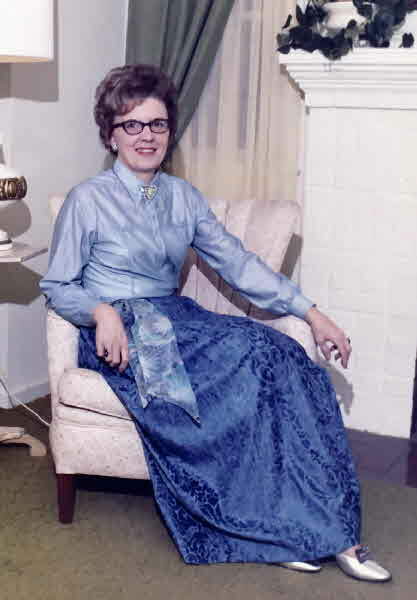 Eva was a wonderful wife, mother, grandmother, great-grandmother, sister, aunt and friend. Eva was involved in the community thorough the Salvation Army and their Home League Group, the New Liskeard Fall Fair, founding member of the local Quilt Guild, sewing, dances, card parties and community suppers. Eva will live on in the hearts of her sons: Rodney Loach, Bruce Loach (Wendy) and Don Loach (Yvette) and her daughters: Pauleen Patton (Ron), Patricia Donovan (Jim), Gloria Packard (Bob) and Elizabeth Loach (John Morra); and her husband Stewart and his two sons, Grant Doupe (Sharon) and Brent Doupe (Bonnie); her sister Gloria Anderson; her special friends, Claudette Woods, Laura Hobbs and Claire White; 23 grandchildren: Barbara, Nancy, Adam, Kurt, Richard, Norman, Jamie-Lee, Christopher, Gregory, Kari-Anne, Kelly, Danny, Nicholas, John, Anne, Barb, Sean, Andrew, Shane, Meghann, Logan, Giada and Leila; 25 great grandchildren: Sarah, Krista, Randy, Rebecca, Jenna, Dillion, Tommy, Cole, Brett, Taylor, Kaitlin, Joshua, Emma, Madison, Tyler, Kaylee, Jeremy, Tristen, Devon, Chloe, Ethan, Aiden, Laila, Amber and Lawrence as well as by several nieces, nephews, cousins and friends. 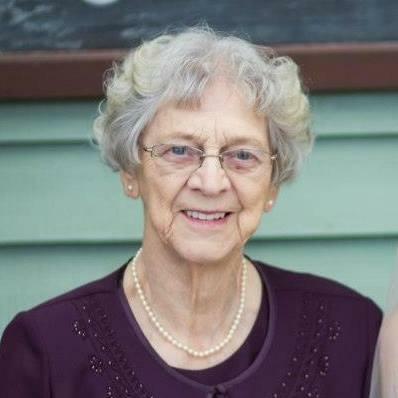 Eva passed away at the Temiskaming Hospital on December 9, 2015 at the age of 87. 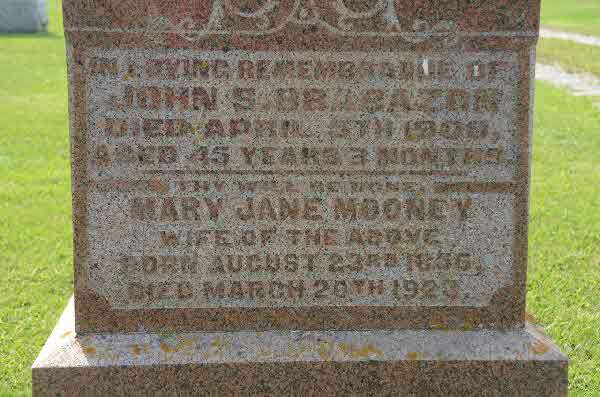 She is predeceased by her first husband - Lawrence, Mother - Mabel Marriott (Boyce, Harris and Lambe), Father - William Boyce, sisters and brothers, Rita, Jimmy, June, Audrey, Myrtle and Eddie (Dale). 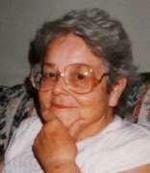 Visitation arrangements will be held at Perrin Funeral Chapel Ltd., New Liskeard on Friday, December 11, 2015 from 2:00 to 4:00 p.m. and 7:00 to 9:00 p.m. A service celebrating Eva`s life will be held at the Salvation Army Church on Saturday, December 12, 2015 morning at 11:00. Everyone is invited to share memories with the family immediately following the Service in the Church Hall. In lieu of flowers, the family would appreciate your consideration of a donation to The Temiskaming Hospital in the name of Eva. Words cannot express our thanks to Dr. Davies for the care, compassion and friendship to our Mother, the staff of The Temiskaming Hospital and Tony and Cindy of the Dialysis Unit. 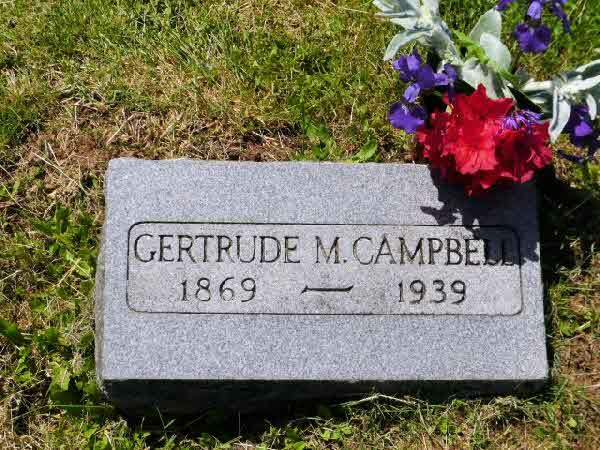 Burial* She was buried in Vandeleur Cemetery, Artemesia Twp., Grey County, Ontario, Canada. 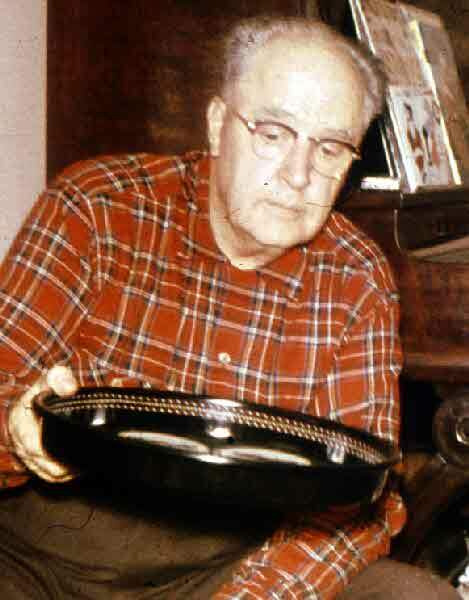 Marriage* He married Mabel Rosepha Marriott, daughter of John William Marriott and Vera Lovillie Doupe, on 30 June 1927 in Thornloe, District of Timiskaming, Ontario, Canada. Burial* She was buried in Springcreek Cemetery, Mississauga, Peel County, Ontario, Canada. [S83] Oregon, Marriages Index 1906 - 2009, online \. 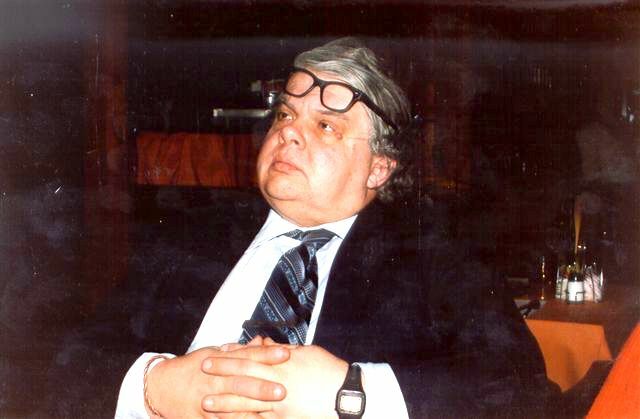 Birth* Clarence Bragg was born on 11 November 1907 in Cascade Street, Parry Sound, District of Parry Sound, Ontario, Canada. 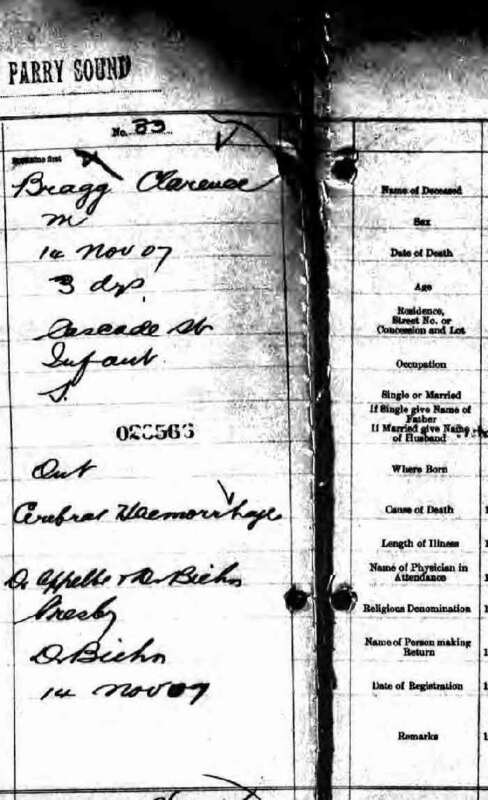 Death* Clarence Bragg died on 14 November 1907 in Parry Sound, District of Parry Sound, Ontario, Canada. 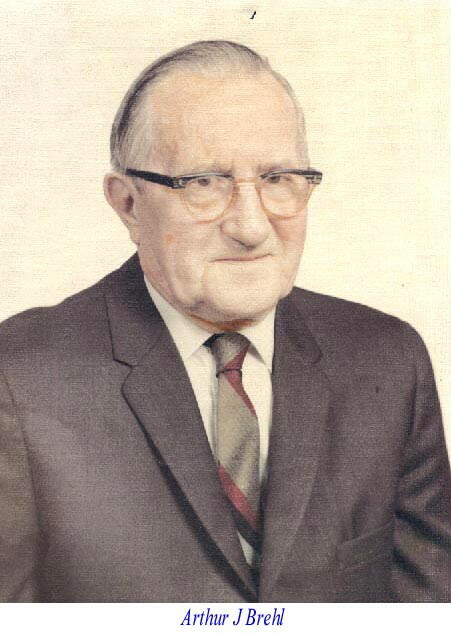 Death* Glen Ray Bragg died on 31 December 1923 in Parry Sound, District of Parry Sound, Ontario, Canada. 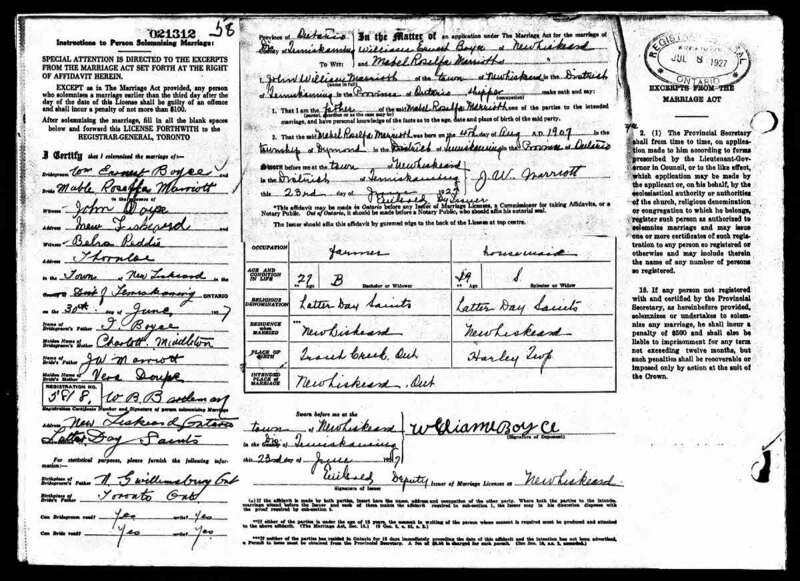 Marriage* John Albert Bragg married Ethyl Mae Tutt, daughter of James Tutt and Ellen Jackson Fawns, on 12 September 1906. 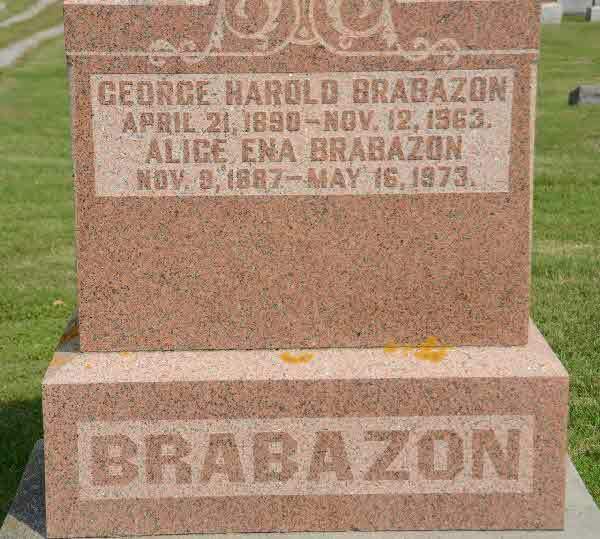 Death* Verna Lillian Bragg died on 8 February 1921 in Parry Sound, District of Parry Sound, Ontario, Canada, at age 9; due to a ruptured appendix. 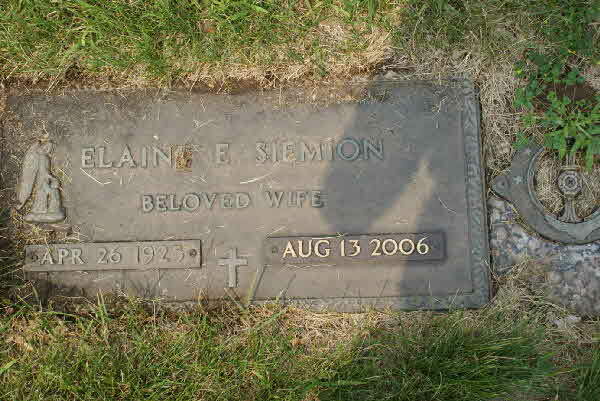 Burial* She was buried in Pleasant View Cemetery (West), Clackamas County, Oregon, United States. 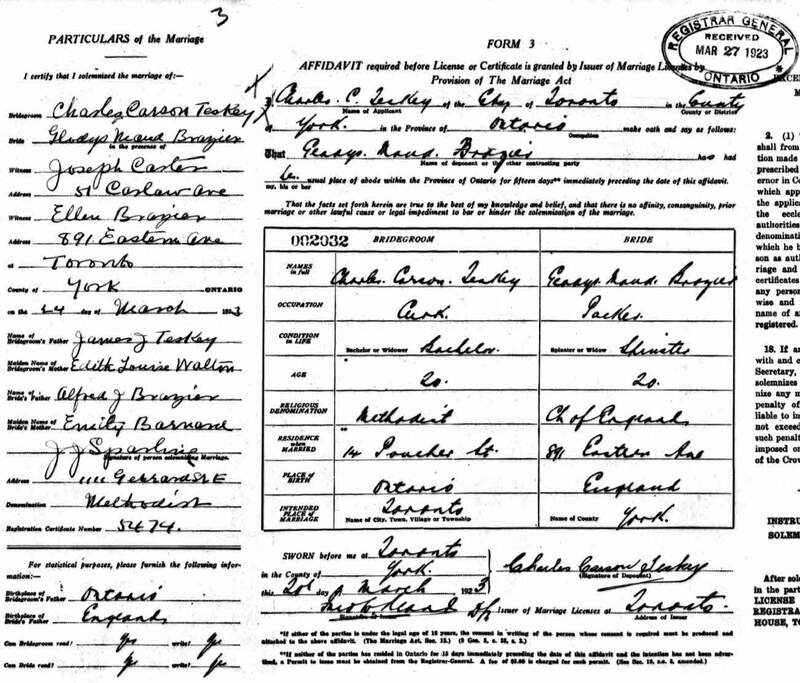 Marriage* She married Charles CARSON Teskey, son of James Joseph Teskey and Edith Louise Walton, on 24 March 1923 in Toronto, York County, Ontario, England. 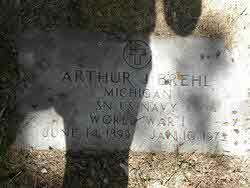 Burial* He was buried in Mount Calvary Cemetery, Grand Rapids, Kent County, Michigan, United States. 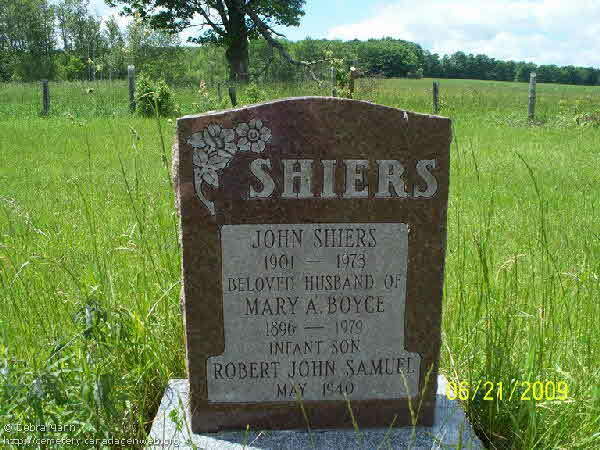 Burial* She was buried in Wyoming, Kent County, Michigan, United States. 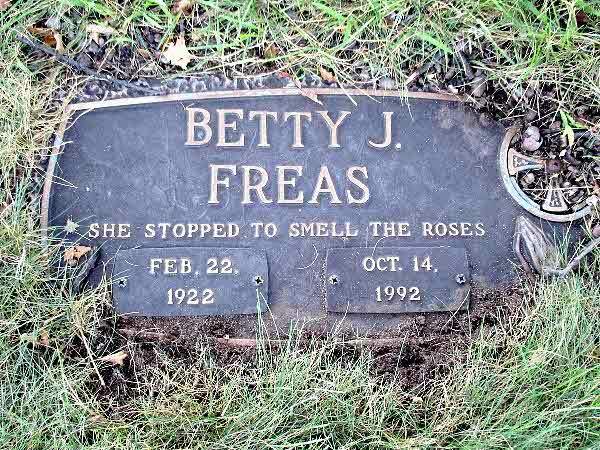 Burial* She was buried in Resurrection Cemetery, Wyoming, Kent County, Michigan, United States. [S1] Ancestry.ca, online \Ancestry.ca\, It's All relative: The Gilfillans Farmily Tree. Hereinafter cited as Ancestry.ca. [S25] Unknown record type: unknown subject, by unknown photographer; unknown series; unknown repository, unknown repository address. 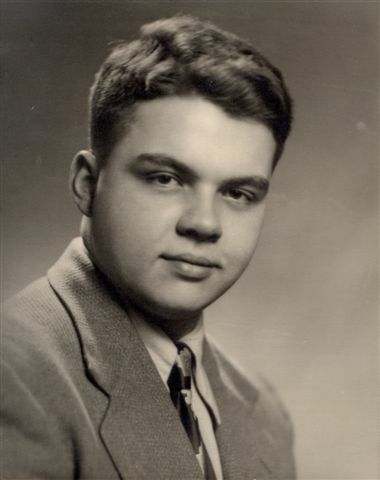 Online unknown url; unknown file name, Marriage records of Elaine E. Brehl and Rayond A. Siemion. 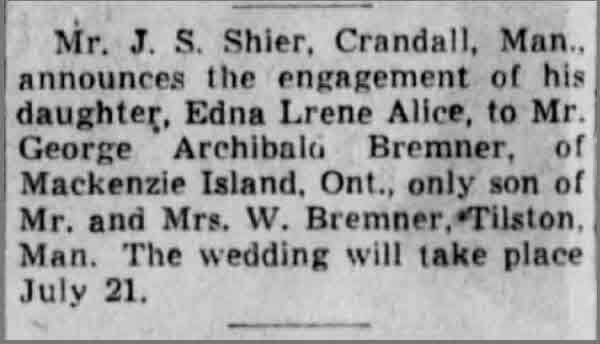 Marriage* George Archibald Bremner married Edna Irene Alice Shier, daughter of Jesse Samuel Shier and Ann Jane (Annie) Hollingshead, on 21 July 1939 in United Church, Red Lake, District of Kenora, Ontario, Canada. Death* She died on 9 January 2017 in Atrium Residence, Orillia, Simcoe County, Ontario, Canada; SHIER, Margaret Evangelina (nee Bresitte) - Passed away peacefully at the Atrium Retirement Residence Orillia on Monday January 9th, 2017 at the age of 100. 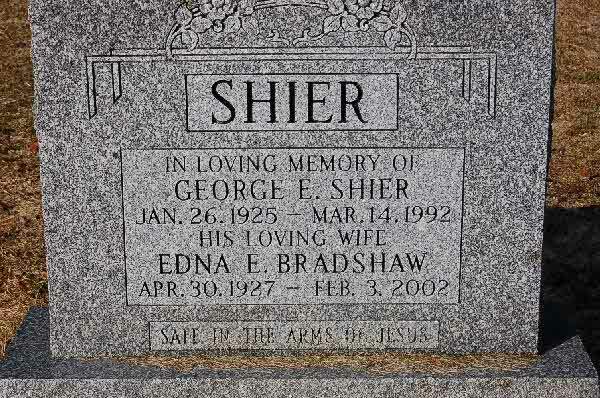 Margaret Shier of Orillia, beloved wife of the late Harry Shier. 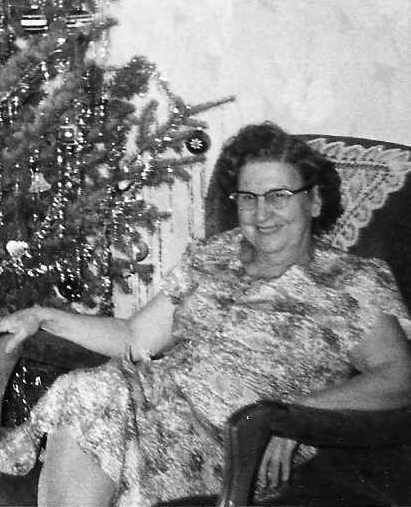 Loving mother of Geraldine Baxter of Pickering, Lyndra Melbourne of Keswick and Gail Tucker and husband Bob (predeceased) of Nova Scotia. 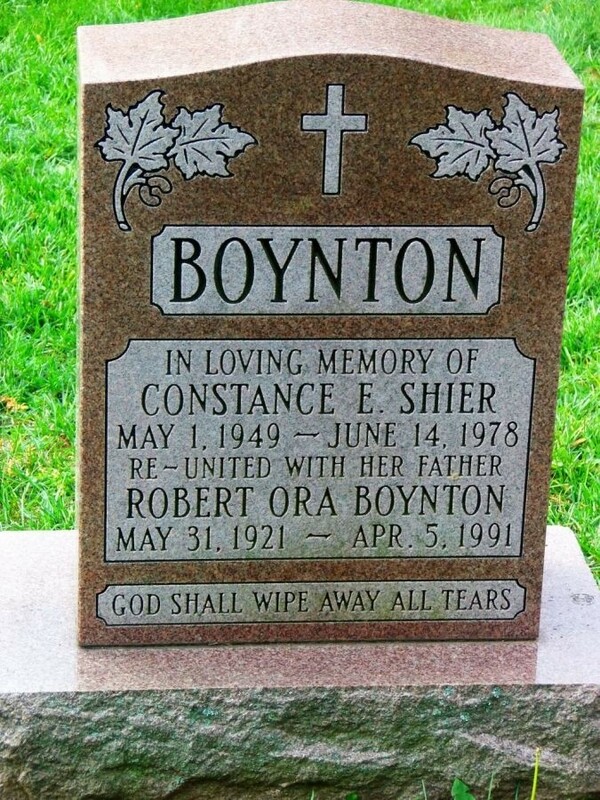 Fondly remember by her many grandchildren and great grandchildren. As per Margaret's wishes there will be no visitation or service, cremation has taken place.